The bank said that the existing 0% NatWest credit card offers would be withdrawn as part of a policy to increase trust in the bank by removing “teaser rates” from all products. As part of this promise to customers, NatWest said that it would stop offering deals to new customers that it would not offer to existing customers. NatWest also said it would also stop offering different rates to customers depending on whether they applied online or in branches. With no more 0% NatWest credit card offers now available, this has slightly reduced the number of 0% credit card offers in the UK. NatWest credit card customers can of course still apply for any of the 0% credit card offers available from other credit card companies, who several years after NatWest’s announcement, have shown no intention of withdrawing their own 0% credit card offers. In fact the other card companies are competing very hard for new customers. As a result currently there are still over 90 other credit cards in the UK offering introductory 0% purchase credit cards and 0 percent credit card offers available from other banks and credit card companies. 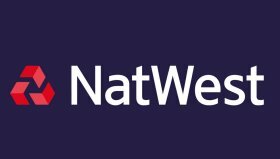 The last 0% NatWest credit card offer before it was withdrawn offered 0% for 28 months on balance transfers with a 2.99% balance transfer fee. This NatWest Platinum credit card had also offered customers 0% for 6 months on purchases with an 18.9% APR interest rate. NatWest still do offer credit cards to customers, although without any 0% introductory offers. The bank now offers a Clear Rate Platinum credit card with a low interest rate on balance transfers and purchases. This card also has an annual fee, which is currently set at £24 per year. Most of the other available UK credit cards, including the current M&S credit card offers, do not charge an annual fee.